The Xbox One Kinect sensor is coming to Windows, with a few minor tweaks. Microsoft has "finally" finalized the next version of Kinect for Windows. 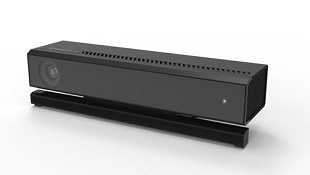 Dubbed "Kinect for Windows v2," the new sensor seems to be the same as the tech included with the Xbox One, with some aesthetic and connectivity changes. Gone is the Xbox One logo, replaced by a simpler power indication LED, and there's a new Kinect logo on the top of the unit. Connectivity is handled by USB 3.0, which connects the Kinect v2 hub to your PC. The power brick connects to the same hub before heading to the wall/power strip. There's still no word on pricing or availability -- the Kinect for Windows site still shows the original, Xbox 360-esque sensor. So far, Kinect for Windows has largely been targeted at the business and academic institutions, with little (popular) crossover from the Xbox One gaming world.